Single-parent households are on the rise (about 20 million in the US today) and so is home ownership for single parents. In fact, almost 25% of recent home buyers were single. Without the cushion of a double income as a single parent, you may think home ownership is out of your reach. But the reality is that you may have an advantage as a single parent because you may be able to qualify for moderate- or low-income financing programs, as well as grants and low down payments. Still, there remain some important things to consider before you take that big step. Let’s see, then, how to buy a home as a single parent in Palm Beach . Does Home Ownership Make Sense for You? Before you buy a home as a single parent in Palm Beach you need to determine whether home ownership really makes sense for you in your specific situation. 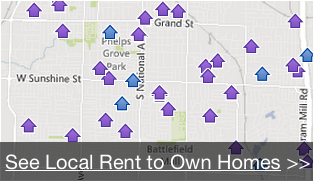 Owning isn’t for everyone, and in some cases renting is a better option. First, you need to ask yourself whether you want the responsibility and burden of owning a home. It doesn’t take long for the shine of home ownership to dim when those maintenance and repair bills start rolling in. As a renter, you don’t have to worry about any of that – the landlord makes the repairs and foots the bill. Will you have the time and energy to take care of landscaping and to shovel sidewalks and clean gutters? Have You Considered ALL the Costs and Expenses? Having determined that buying a home as a single parent in Palm Beach is right for you, you need to make sure you’re aware of all the costs and hidden expenses of home ownership. As a single parent, you don’t want to find yourself committed to buying a home and then discover that you really can’t afford it. The purchase price and mortgage payments are just the beginning. You will also need to factor into the cost of home ownership utilities, insurance, property taxes, and HOA fees, as well as those inevitable costs for maintenance and repairs. Do you know what it will cost to repair or replace the HVAC system when the heater gives in January or the AC dies in July? These things will happen – and usually at the worst possible time. Have You Figured Out the Money Issues? Pre-qualify – It’s a good idea to get pre-qualified for a mortgage before you begin house hunting. That way, you’ll be looking only at homes within your predetermined price range, thus saving a lot of time and effort. You also won’t have to face any qualifying delays when you make an offer. Down-payment Assistance – If money’s tight, coming up with a down payment may seem like an insurmountable obstacle. There are, however, programs that offer assistance to low- and moderate-income home buyers. To find the one that’s right for you, you could consult the Nehemiah Foundation, which provides a database of organizations that offer such assistance to first-time home buyers. FHA Mortgage Program – The Federal Housing Administration (FHA) program in another down-payment assistance program, offering down payments as low as 3.5% (rather than the standard 10% to 20%). In addition, the FHA insures loans provided by FHA-approved lenders, which makes it easier for less qualified buyers to get mortgages from these lenders. USDA Home Loans – The United States Department of Agriculture (USDA) offers a program called the Single Family Housing Direct Home Loan, or Section 502 Direct Loan Program. This program provides qualifying home buyers payment assistance via a subsidy that reduces the mortgage payment amount for a specified amount of time. The aim is to enhance an applicant’s repayment ability for a short time. Do You Have a Good Agent in Your Corner? Buying a home is a complex process comprising many inter-related steps. It’s also a major step that will profoundly impact your life for the next 15 to 30 years – especially when you buy a home as a single parent in Palm Beach . It’s critical, then, that you decide wisely and tread carefully. That’s where a good real estate agent can be an invaluable asset. On average, how many homes do you sell a year when representing buyers? How do you communicate with buyers, and what is your availability for questions and consults? What is your availability with respect to showings? As a single parent, you’re probably already stretched pretty thin, so having a good agent can reduce the stress when you buy a home as a single parent in Palm Beach . That’s where we can help. Call us today at 561-771-4347!